Click any region to find out more! 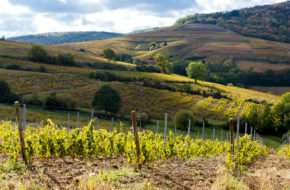 France Journeys offers exclusive wine tours that are personally designed for our travelers. We create a custom travel experience that will focus on your interests, but also give you a complete glimpse into a wine region and its producers incorporating many aspects such as prestigious top wine estates, biodynamic and organic producers, small boutique wineries and more. Enjoy VIP tours with our expert guides that introduce you to the region as an insider. France Journeys specializes in custom travel to France that offers exceptional tailor-made itineraries, luxury concierge services and travel experiences. Anything is possible with our first-hand destination knowledge that allows us to create exclusive journeys that highlight the people, places, culture, and flavors of France. Call to speak with a France Travel Specialist or send us an enquiry to begin your planning your journey.